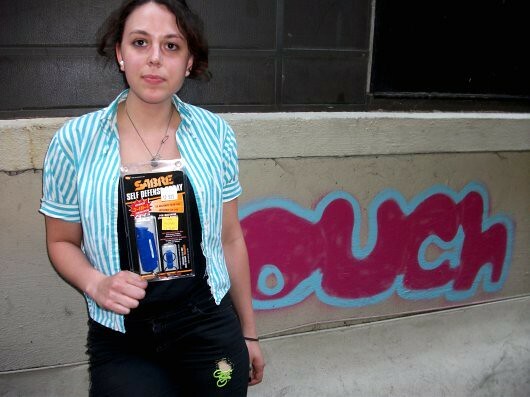 Yesterday my friend Sky, who lives in Fishtown, showed me the new pepper spray she picked up. My room mate just bought some pepper spray the other day too. 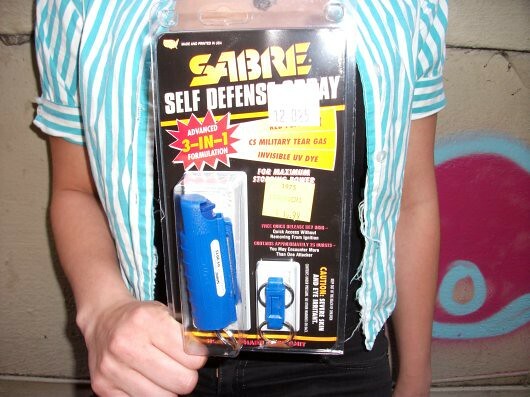 I guess one of the things Sabina’s death has taught us all is the importance of adding protection to yourself. And pepper spray’s a cheap (about $10) and easy way to do just that. Sky’s pepper spray is from the I. Goldberg Army & Navy store at 13th and Chestnut streets, and it’s cool because it’s got invisible UV dye in it. So the police can easily identify the doofus you spray, because under a black light he’ll have a big blue stain all over his face.